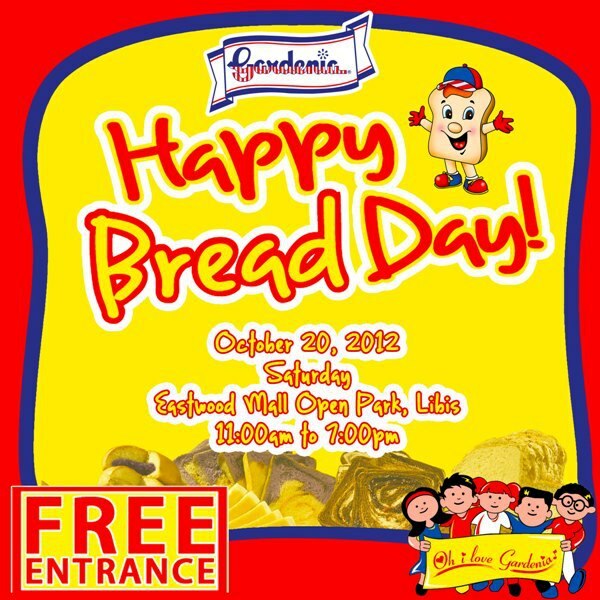 The Food Alphabet and More: Happy Bread day from Gardenia! Get to enjoy games, photo booths, surprises and more with Gardenia's Happy Bread day celebration at the Eastwood mall Open Park in Libis Quezon City. Get treats, deals and a whole lot of fun from 11:00 am to 7:00 pm.